One in a series of articles on attractions and destinations in the Kansai region of central Japan. KYOTO, Japan.–When I was a kid, we referred to cartoons such as “Speed Racer” and “Kimba” as “Japanimation.” The roots of the style are not in film or TV, of course; they sprang form the pages of manga, which some may (perhaps rightfully) say is the predominant literary form in Japan. You see manga’s reach into all walks of life in its home country; entertaining the businessman on his evening train ride home, filling the heads of schoolgirls with light romantic fantasy or satisfying the inner deviant of society’s most strait-laced conformists. Despite its often simplistic illustrations and lack of written prose, it is a bona fide art form, and that form has a permanent home in Kyoto. Opened in 2006, the Kyoto International Manga Museum was founded by local college students, with the goal of providing a home base for manga culture and art. Not simply a library, the museum – fittingly built into a former primary school – also hosts workshops and artist signings. There is also a manga park, with cheerful decorations and artificial turf, where I saw groups of students gathering after school to read, chat and sip tea. Nakamura added that a core philosophy of the museum is that more reading, whatever the subject matter, is always better than less reading. 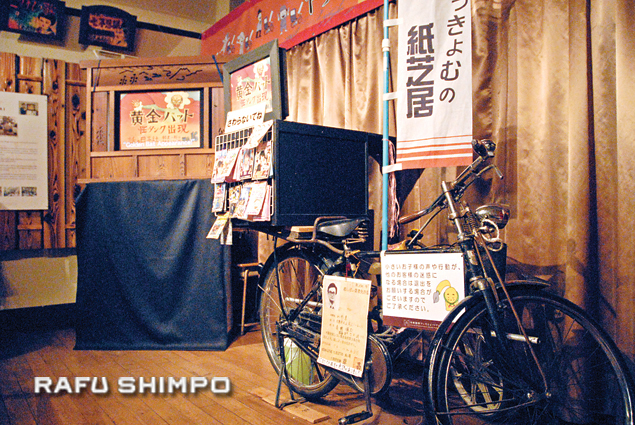 Manga’s beginnings can be traced back in part to early 20th-century entertainment known as kami shibai, in which storytellers on bicycles used colorful tales as a means to sell candy and toys to children. 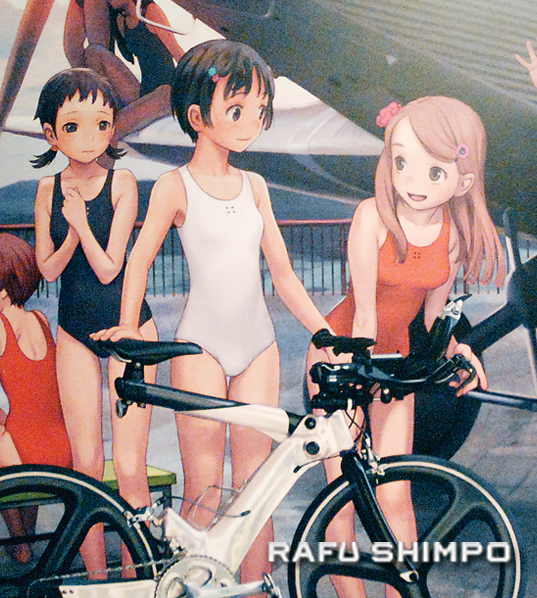 The facility traces manga’s development and its reach across the world, which began with pirated magazines in the 1960s and continued into what has become a global lifestyle subculture. Opinions about its origins range from ukiyo-e (traditional woodblock printing) to kami shibai, tales from storytellers on bicycles dating to the early 20th century. Perhaps the museum’s most cherished feature its simplest. 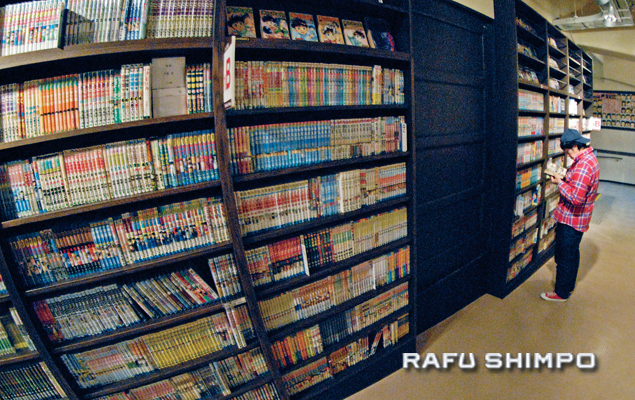 The collection of more than 50,000 manga are stored on open shelves, available for any visitor to pick up and read. The magazines cover as many topics as life itself, from light childhood tales to sports and hardball politics to the stark tragedy of war. Among the titles on display are original copies of “Barefoot Gen,” which serialized the horrors of the atomic bombing of Hiroshima. The museum seems to downplay manga’s connection to people within modern Japanese society referred to as otaku– those who tend to be obsessed or fanatical about certain topics. Anime and manga have had particularly strong influence on otaku in Japan, with positive and negative impacts. The market for products depicting manga or anime characters has exploded in recent years, with fanatics a key target of memorabilia manufacturers. On the other hand, there is common depiction of sexuality, often with very young girls, that is undeniably a popular manga topic. Manga has been largely responsible for the popularity of pop sub-cultures such as kawaii (cute culture) and cosplay (costume play), and the birth of anime conventions. 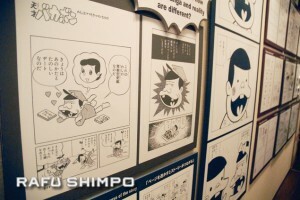 Nakamura said that the museum welcomes anyone interested in manga, and that adult-themed material is only available to those over the age of 18. The museum’s international research center offers a facility for the study of manga and visual arts from around the globe, and is regularly used by university students from across Japan. The Kyoto International Manga Museum is located in the Karasuma-Oike district of central Kyoto, easily accessible from several bus and rail lines. Admission is 800 yen for adults, 300 yen for junior and senior high students and 100 yen for elementary school kids. For more information, call 81 (75) 254-7414, or visit kyotomm.jp. 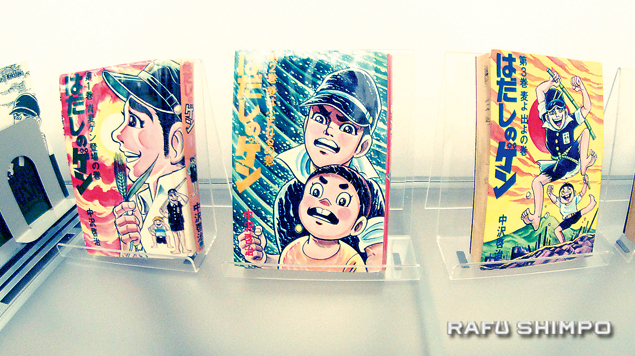 Original copies of the war-era epic “Barefoot Gen,” which told of the horrific atomic bombing of Hiroshima in manga form.